From a re-telling of ballet’s most enduring classic, Swan Lake, to high octane contemporary ballet set to music from Bach to Bowie, and powerful Asian-Pacific contemporary dance; there are some wonderful performances to warm our souls during the cooler mid-Autumn nights. 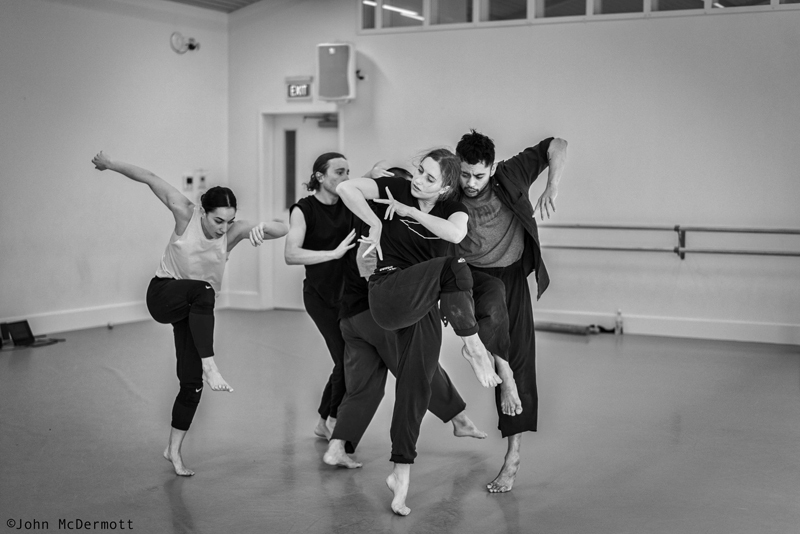 On a mission to create new connections to contemporary dance, The New Zealand Dance Company (NZDC), sets out in April and May on its first national tour of Kiss The Sky, which premiered in Auckland in 2017. Kiss The Sky presents powerful contemporary dance in an Asian-Pacific constellation of original movement, music and design, reflecting on the themes of nature and time. This season of Kiss The Sky combines the high-octane physicality of Korean choreographer and composer KIM Jae Duk in his work Sigan; and the powerhouse choreography of the renowned Stephanie Lake in the eccentric and imaginative If Never Was Now; with the vibrant aesthetic of New Zealand’s Victoria Colombus in her world premiere work The Fibonacci. Co-commissioned by the Festival of Colour and NZDC, Colombus' new work is a reflection on the hidden pattern that weaves us together and reflects the harmony of our world. Alongside sound and spatial designer Rowan Pierce, Colombus uses the mathematical Fibonacci sequence and its mysterious golden spirals as a point of departure, examining and creating a physical language that, at its heart, explores energy pathways through movement, as the connecting force between us all. In a tribute to the memory of New Zealand arts management luminary Susan Paterson, this commission is also generously supported by Jane Vesty, Greg Fahey and Brian Sweeney of SweeneyVesty. KIM Jae Duk’s quartet Sigan draws from the dual themes of meditation and attack. A dynamic score created by Jae Duk himself features traditional Korean instruments: janggu (drum), kkwaenggwari (small gong) and jing (large gong) within a contemporary composition. Stephanie Lake’s If Never was Now is a surreal hive of buzzing activity reflecting the beauty and brutality of the natural world through “moments of darkness, violent aggression, frustration with chaos amongst playfulness”. Somewhere in the future, but also with a feeling that it’s right at the beginning, Lake allows room for ambiguity with the contrast of the digital and robotic world paired against the biological and natural. Celebrating their 25th anniversary, New York’s Complexions Contemporary Ballet returns to Auckland with its distinctive brand of dance in an inspired fusion of passion, skill and pure physicality. Founded in 1994 by master choreographer Dwight Rhoden and the legendary Desmond Richardson, with a singular approach to reinventing dance through a ground-breaking mix of methods, styles and cultures, Complexions is one of the most recognised performing arts companies in the world and is poised to continue its mission of bringing unity to the world, one dance at a time. Sixteen phenomenal dancers will take to The Civic stage in Auckland for five awe-inspiring performances to the iconic soundtracks of classical music maestro J.S. Bach and iconic pop legend David Bowie. In 2012, Patricia Barker commissioned Slovak choreographer Mário Radačovský to create a new version of Swan Lake for Grand Rapids Ballet in Michigan. The stripped down, elemental version of the story which Radačovský created, with the agony and ecstasy of Tchaikovsky’s original score at its heart, was an instant success with audiences, and has gone on to have acclaimed performances in both the USA and Europe. As an exciting addition to its repertoire of full-length story ballets, and following in the company’s long tradition of presenting fresh takes on classic works, the Royal New Zealand Ballet will bring Black Swan, White Swan to New Zealand audiences in autumn 2019. With its focus on Siegfried’s struggle with ideal love, pure evil, temptation, and most of all, himself, this is a Swan Lake for the 21st century. Original generation time 1.2644 seconds.